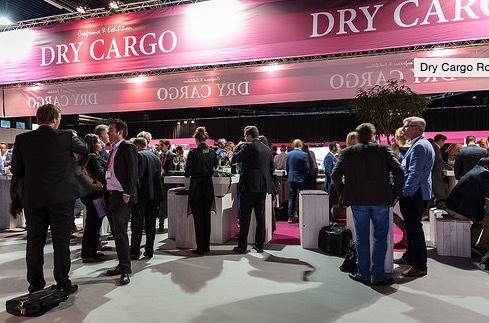 The first edition of the Dry Cargo Conference & Exhibition organized by Easyfairs took place in Rotterdam, The Netherlands at 30 September & 1 October. The two-day event contained a high quality conference programme with 30 speakers from all over the world together with a wide range of sponsors at the exhibition floor and a spectacular social programme. The show was attending by at least 400 guests. A warm welcome at the prestigious ship ss Rotterdam was the start of the Dry Cargo Conference & Exhibition 2015. During the welcoming reception different nationalities got to know each other while enjoying some food and beverages to set a good start for a two-day networking event in Ahoy, Rotterdam yet to come. Delegates from France, Germany, UK, Ireland and Belgium, but also from USA, Canada, Russia, Egypt and India attended the professional and well-organized conference in Rotterdam. Topics that were rated very well were Mike Bradley from the University of Greenwich with ‘Storage, handling and flow of biomass materials’, ‘The expanded Panama Canal opens next April, but will it meet the expectations?’, discussed by Ray Dykes and ‘Boom or Bust for China’s property market? What to expect, and why it matters so immensely for the dry bulk freight market going forward’, from Martin Sommerseth Jaer. Besides the conference the delegates visited the exhibition floor of Dry Cargo with sponsors in the area of ports and terminals equipment. They were also able to visit the co-located shows. This colocation also proved an advantage for the sponsors of Dry Cargo to meet professionals of Solids as well. 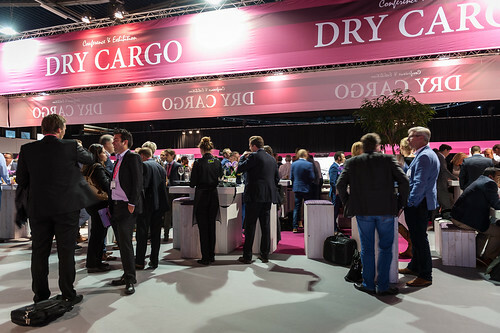 The main goal for the sponsors to be presenting themselves at Dry Cargo is to meet new customers and stay in touch with existing relations from the Netherlands and as well from all over the world that were coming to Rotterdam. During these days 400 guests talked about the latest issues in dry bulk, trade, shipping, logistics, ports, terminals and engineering at the conference and the exhibition. 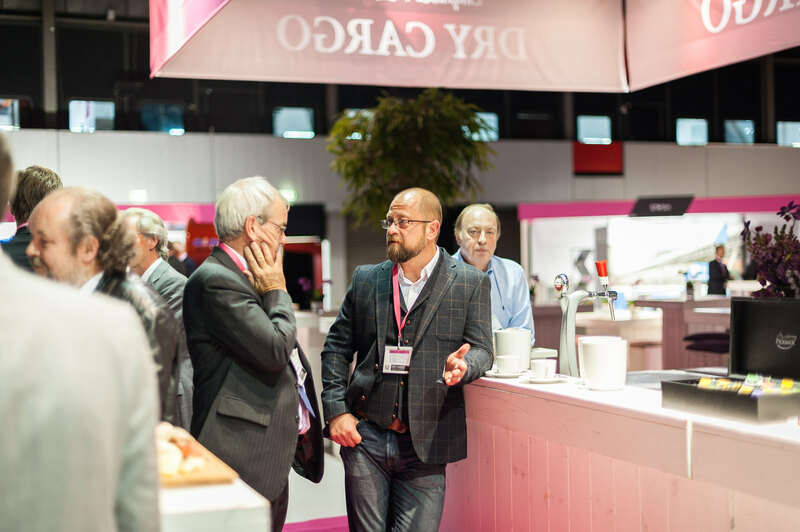 Besides the conference, the delegates very much appreciated the professional exhibition floor with all-inclusive catering all day. The attendees also had the possibility to join the exclusive social programme with a tender cruise through the port of Rotterdam and a dinner in restaurant Las Palmas with the famous Dutch chef cook Herman den Blijker. Delegates rated our hospitality, the food and the arrangement at the restaurant as excellent. 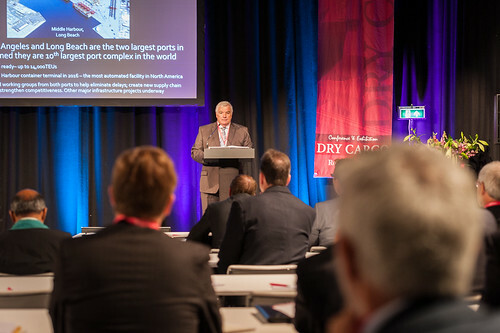 In short, the Dry Cargo Conference & Exhibition is the meeting place for ship owner, operators, charterers, agents, exporters, importers, traders, ports, terminals, logistics providers and bulk materials handling suppliers. Next edition will take place in Antwerp at 19 & 20 October 2016. We are looking forward to organize the second edition with all the feedback we received to continue to be the most important worldwide event for the dry bulk sector in the years to come.